Air Pollution and The Seasons in Chiang Mai: when is it best to visit? Chiang Mai is a beautiful historic city with lots of reasons to visit. Sadly, for two months or more every year the city’s attraction is greatly diminished by pollution and poor air quality. This is the so called smokey or burning season which happens in the hottest part of the year. In this time the jungle surrounding Chaing Mai is tinder dry and forest fires are a common occurrence. These, along with man made fires to clear farmland for the next growing season and to burn rubbish result in a thick smog choking the valleys of Northern Thailand. For weeks at a time the air quality can range from unhealthy to downright hazardous. The phenomena is not only in Chiang Mai but across all of northern Thailand and into neighbouring South East Asian countries. The key indicators of air pollution are known as Air Quality Index (AQI) for PM 2.5 and PM10 (click to read about particulates on Wikipedia), with high levels of PM2.5 being the most dangerous. Instantaneous levels of pollution can be seen for the Chiang mai area on this map. AQI data and current weather for Chiang mai is also displayed on the side bar for this website. The AQI scale ranges from 0-500 or more. Over 100 is getting into unhealthy levels. In the last week many stations in Chiang mai have been reporting PM2.5 levels in the 300+ range which is considered hazardous to health and making 2019 one of the worst years in recent history. Chiang Mai has just topped the chart as the most polluted city on the planet. This map shows the current locations of forest fires around the world. At the time of writing South East Asia is covered in a swathe of red. This is not a new phenomenon and has been happening for decades, if not centuries. Greater awareness of the health issues caused by the pollution has meant the problem is now discussed and on the agenda of both the government and the media. But, despite burning bans and promises of greater action the situation has seen almost know improvement. Indeed, the emergence of corn as a more common crop, which can be grown easily on hillsides, has resulted in mass deforestation. Fire is used both to clear the land and to burn the residue after each growing season. Economic pressures and lack of alternatives or education of farmers mean the old practices continue. A large increase in vehicle traffic fumes in the city, and Chiang mai’s location in a basin surrounded by mountains are further complications. The problem is even worse in neighbouring countries like Myanmar and Laos and smoke doesn’t recognise national borders. The level of pollution maybe shocking to visitors, and much of the media coverage is instigated by foreigners. Yet, locally the issue is more accepted and there does not seem the political will to really tackle it. As no real initiative has happened this year, when the long awaited general election falls in the middle of burning season, it suggests the problem will continue to plague Chiang Mai for some years to come. A search will reveal many articles on the politics of Haze, but this article in the Straights Times from 2016 doesn’t pull any punches. The best option for tourists wanting to visit Chiang Mai is to avoid th hot season, and the smokiest parts in particular. The worst time is from late February through early April. 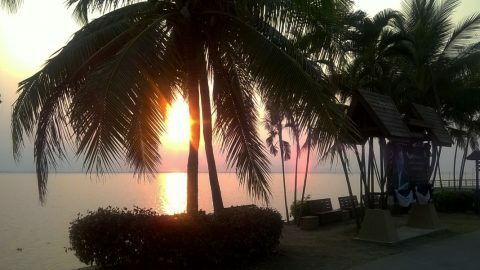 Many Chiang Mai ex-pats choose this time to go visit the beach or travel. Anything to escape from Northern Thailand. But its not all gloom and doom. Chiang Mai has some truly fabulous weather at other times of the year. 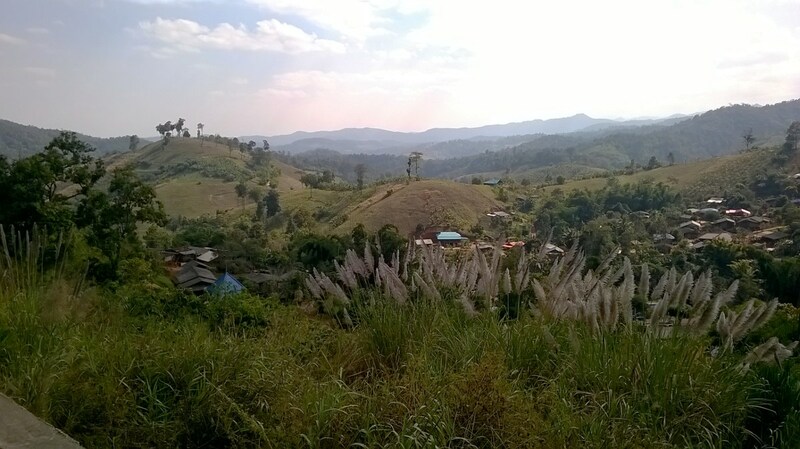 The next part of this article looks at Chaing Mai’s seasons and when best to visit. The major influencers of Chiang Mai’s annual climate are the South West Monsoon and the large land mass surrounding it to the north. For part of the year the dominant feature is a large high pressure area over China which pushes weather systems away resulting in a long period with little rain fall comprising first the cool then the hot season. For the rest of the year the South West Monsoon brings hot humid air and prolonged heavy rainfall. The above graphs show the average monthly rainfall and temperatures in Chiang Mai throughout the year. These define the seasons which, unlike in northern climes, are fairly predictable without a variable period such as spring or autumn. Cool Season runs from early to mid November through mid to late February. Whilst the transition from rainy to cool season is more gradual, the transition to hot season arrives like a smack in the face. Typically in a few days the temperature rises 10-15 degrees and never drops back! Cool season sees Chiang Mai at it’s fabulous best. Beautiful clear blue skies, cool nights, fresh mornings, often with a mist, and warm days with temperatures only reaching a peak of perhaps 30 degrees in mid afternoon. It rarely rains, though that can vary from year to year, and rain has certainly been more common in recent years. Cool season is understandably Chiang Mai’s high season when everyone comes to visit. Not only foreigners, but many Thai’s from Bangkok choose this time of year to benefit from the excellent weather. In late February the temperature sky rockets and hot season arrives. Hot season continues through May, though from mid- April summer storms, also known as the mango rains begin. These can be particularly strong and violent in May with accompanying high winds often causing damage. Although average temperatures are in the high 30s daily peaks can go above with peaks of 42 or 43 degrees not uncommon. As discussed earlier, much of the hot season is accompanied by the burning season and the smoke hangs around until Mid April when summer storms start to clear the air. Although obviously not the best time to come to Chiang Mai, Hot season does have one highlight – The Songkran New Year Festival in mid April. 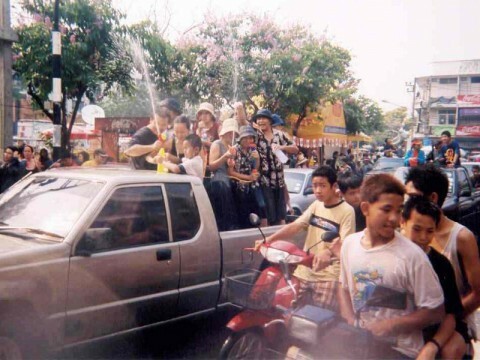 For three days at the hottest part of the year, Chiang Mai turns into a battleground for the worlds largest water-fight. Everyone is out on the streets throwing water and having fun to celebrate the Thai New Year. 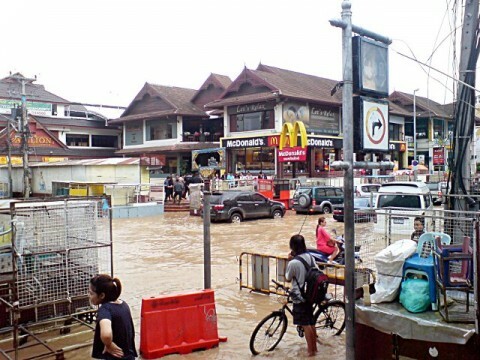 Tourist flood to Chiang Mai in this period when hotels will be packed to capacity. The South West Monsoon arrives in late May or early June bringing with it predominantly cloudy skies, humidity and lower temperatures. This is accompanied by frequent tropical downpours, particularly late afternoon and early evening. The landscape quickly changes colour from the arid browns and yellows of hot season to the lush greens of tropical jungles and rice fields. The peak months of rainy season are August and September which tend to be quiet months for tourism, particularly September which is only beaten by March as the worst month. Earlier in the rainy season June and July are still quite popular months to visit. The city is quieter than in high season but still quite pleasant if you plan life around the rain. The rain also provides a welcome cooling effect with the morning after a heavy drenching often being particularly pleasant. Conversely if it doesn’t rain for a few days the humidity can become overly oppressive. If you want to explore more rural parts of Northern thailand this is not the best season as off beat roads can become muddy and impassable. Perhaps that’s easiest to answer starting with the worst times. 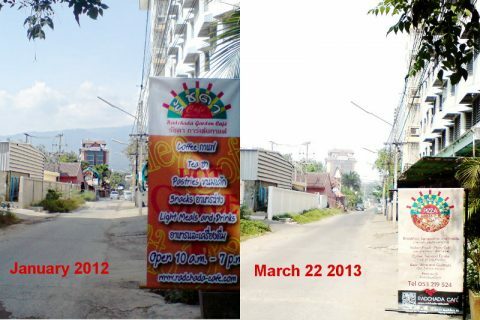 Definitely avoid Chiang Mai between late February and Songkran (13-15 April) if you can. This is the time when it’s very hot and the air can be toxically hazardous to health. Songkran is a great time to visit for a few days partying, but it is the hottest part of the year so less attractive for visiting tourist attractions. August and September are the wettest months, although August still attracts some western visitors who have holidays at this time. 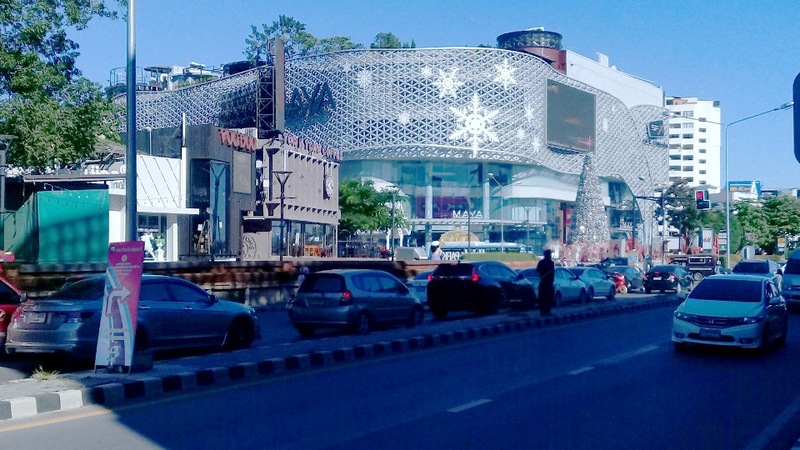 Maya Lifestyle Mall – Decorated for Christmas with fabulous cool season skies. Cool season is undoubtedly the best time. Ideally between mid November and Mid February. A particular favourite is the three day festival of Loy Khratong, also known as Yee Peng in Chiang Mai. The date varies as it falls around the full moon in November. 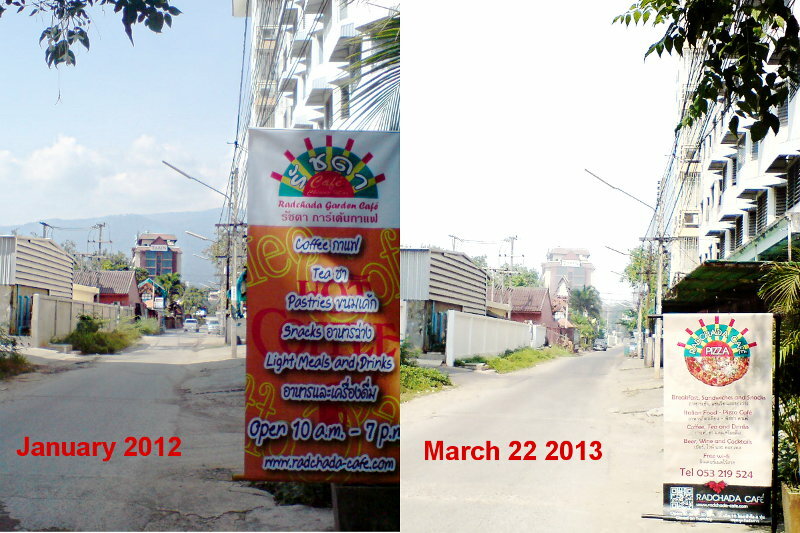 Hotels are very busy around Loy Khratong so book and plan ahead. The same is true for the period around New Year (January 1st) when Chiang Mai is very popular with both domestic and international visitors. Christmas on the other hand is not celebrated in Thailand and quieter. When planning your trip to Thailand be sure to consult our events calendar. 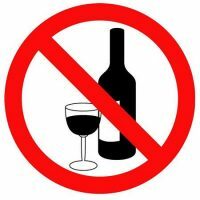 There are Buddhist holidays spread throughout the year and the sale of alcohol is banned on these days. Also on certain holidays associated with the Royal Family and during elections. These events are all listed on the calendar. 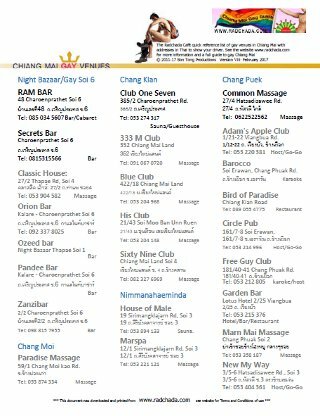 Of course, for gay and LGBT visitors our Gay Guide to Chiang Mai provides lots of information about gay venues and places to have fun in Chiang Mai.